IEN Europe: Could you please give us a short introduction to your product portfolio? H. Schmid: Universal Robots manufactures lightweight collaborative robots in three different sizes. The UR3, UR5 and UR10 are each named after their load capacity in kilograms and, as easy-to-program, flexible and economical robots, they are the ideal solution for automation, particularly in small and medium-sized companies. After a successful risk assessment has been concluded, the UR products guarantee safe cooperation between people and machines without or with only minimum protective enclosure. They are therefore perfectly suited for human-robot collaboration (HRC). In particular, they feature a simple setup that does not require any prior programming knowledge. IEN Europe: What do potential customers have to do to get operational devices for their applications? For example, where can they obtain grippers or sensors? H. Schmid: In addition to the three collaborative robot arms, UR offers Universal Robots+, a unique ecosystem. UR tests all of the products available there, such as grippers, sensors, cameras, and software, which have been specially designed for use with UR robots. This guarantees an uncomplicated setup, reliable operation, smooth user guidance and simple programming for the complete applications. 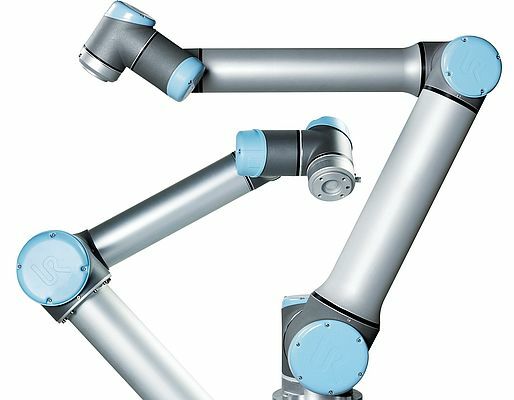 The Universal Robots+ virtual showroom presents more than 60 peripheral products for a wide range of requirements. The result is seamless, smooth and low-risk integration of every possible application. IEN Europe: What support is available for customers who are implementing new projects that call for the robots to take on new functions? H. Schmid: Universal Robots works with a certified partner network that provides all customers with nearby contacts for technical support and integration. These partners receive training on a regular basis and can consequently offer customers the best possible support when implementing their projects. At Universal Robots (Germany) GmbH in Munich we also offer training courses and technical support for end users as second level support. In addition, the UR+ products are designed for simple use with Plug-and-Play methods. This reduces the development and integration effort so that customers can carry out many functional changes without much support from a partner. Thanks to the intuitive operation of the robots and peripherals, most of our end customers are confident in handling the robots after just a short familiarization period that they can easily and quickly modify the units for new functions. IEN Europe: Can you briefly outline one or two typical applications for us? H. Schmid: Generally, UR robots can carry out any repetitive activity with a loading capacity of up to 10 kg. The most common industries are electronics, food and beverage, automotive, and the pharmaceutical sector. Typical applications here include pick-and-place, assembly, packaging, order picking, gluing/dispensing and quality control and product tests. 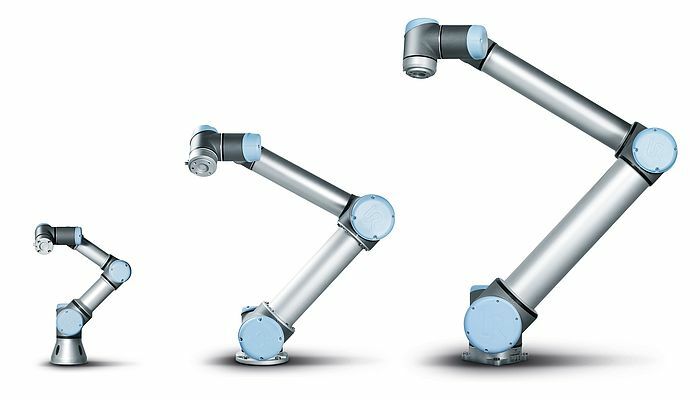 The UR robots are suitable for universal use and enable customized solutions for every application. A good example is beyerdynamic, a UR customer who is using robots to coat speaker membranes. A UR5 places a headphone speaker onto a rotary motor, while a UR3 with integrated spray gun applies a dispersion medium. In another application at our customer Hofmann Glastechnik GmbH, the glass manufacturer uses two collaborative robots for machine loading. The UR robots also help to improve the glass component quality and stabilize the manufacturing process. These examples show that the possible uses are as diverse as the producing sectors themselves. IEN Europe: In your experience, how much time is needed between a customer's project idea and the actual start of use? H. Schmid: The above mentioned universal usability leads to the most varied application possibilities for the UR robots. The implementation period naturally depends on the type of application and its technical complexity. It can typically range from six weeks to nine months. IEN Europe: What sort of budget should a customer expect? What is the payback period for typical projects? H. Schmid: As with the implementation period, the costs greatly depend on the application in which the UR robots are used. The average payback period is 10,5 months, which means that UR robots are particularly suitable for medium-sized companies. The fastest payback period that we have recorded is an impressive 34 days. IEN Europe: Thank you very much for this interview!